‘If in the years to come, you meet a man who says, “I was at Arnhem”, raise your hat and buy him a drink’. 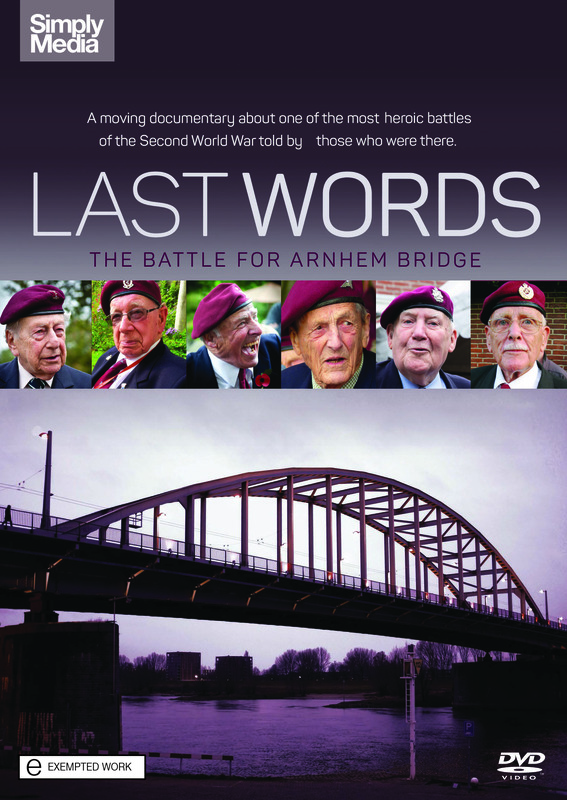 British War correspondent Alan Wood famously said that because the battle for Arnhem was an infamous and bloody battle during World War Two which took place around the Dutch town which lent it its name. What should have been a relatively straightforward attack by Allied forces ended up becoming one of their great military defeats in which their forces were crippled by the opposing Germans. Around 2,000 allied forces were killed with just under another 7,000 being captured. This documentary interviews some of the last remaining Arnhem veterans and their recollections are both as moving and disturbing as one would expect. The piece flows well, intelligently juxtaposing each interview within the narrative to enrich our understanding of the overall picture of that fateful battle. One issue which does stick out is that although the documentary makes sure to include the voices of the Dutch who were unwillingly caught up in the battle, there are no interviews with any German veterans. Indeed the German side of this story is left completely untouched. Perhaps the omission of the opposing side is understandable, although it would have doubtlessly enriched the overall portrait of the battle and its toll, the documentary has plenty of material to wade through regardless of the absence. Thankfully there is humour to be found here amongst the dark memories, the film being at its strongest when it is just letting its subjects talk and contrast with one another. One will recount something horrific, the other something amusing, and that collective voice is more informative than anything else can really be. The film does follow a group of children around as they meet the veterans which is a slight distraction from the overall focus however this is mostly an emotional and informative piece of work. One which feels all the more precious as we are aware of how these veterans are approaching the end of their lives, potentially taking their stories with them. ← Last Chance to Win The Saragossa Manuscript!